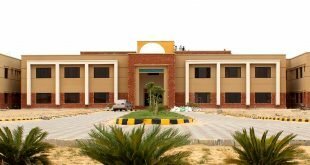 Punjab government has decided to upgrade Mianwali sub-campus of Sargodha University. After up-gradation it would be named as University of Mianwali. Initial process in this regard has already been started. In response to a request from Punjab Higher Education Department (HED) for the establishment of University of Mianwali, Punjab Higher Education Commission (PHEC) Director General (PM&E) alongwith Director (P&D) PHEC has conducted an on-site visit of the UOS Sub Campus Mianwali and four (4) government colleges located in Mianwali on 1st October 2018. After initial scrutiny PHEC has proposed vide its letter dated 4th October (copy of letter available with The Educationist) that UOS Sub Campus Mianwali may be up-graded as University of Mianwali alongwith two commerce colleges. PHEC has sent detailed report in this regard to Additional Secretary (Academics) HED for further process. It is further revealed that HEC has already submitted its report to government. People of Mianwali expressed great pleasure over the proposal and welcomed the decision of Punjab government. A local resident Muhammad Ijaz while talking to The Educationist stated that establishment of university at Mianwali is second educational gift of Imran Khan for the people of Mianwali. Earlier, he established state of the art Namal University and now a public sector university is being established. We love Imran Khan and indebted to his services for the people of his home town. He also demand PM Pakistan Imran Khan to inaugurate the university by himself.